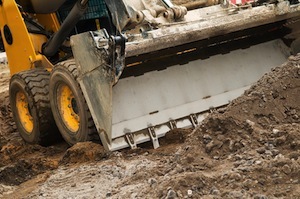 Skid-Steer Loader Accidents | Nashville Injury Lawyers The Law Offices of John Day, P.C. Rollovers Accidents: Rollover accidents commonly occur due to (1) a defective design of the equipment, (2) unstable, heavy loads or (3)operating on uneven ground. Crushing or Pinning Accidents: Typically, these accidents occur when an interlock safety feature is bypassed and an unintended actuation of the lift arms occurs. Run-Over Accidents: These can occur when an operator does not keep a proper lookout for others while operating the machinery or from unintended actuation of the machine. If you or a loved one was injured in a skid-steer loader accident, contact one of our award-winning lawyers for a free, no-obligation consultation. One of our experienced attorneys will review your case with you, answer your questions and explain your rights in clear, understandable terms. We have helped our satisfied clients recover well over $100 million dollars and we would like to help you and your family too. Contact us online or call us anytime at 615-742-4880 or toll-free at 866.812.8787. We handle all skid loader accident cases on a contingency basis, so we only get paid if we recover money for you.